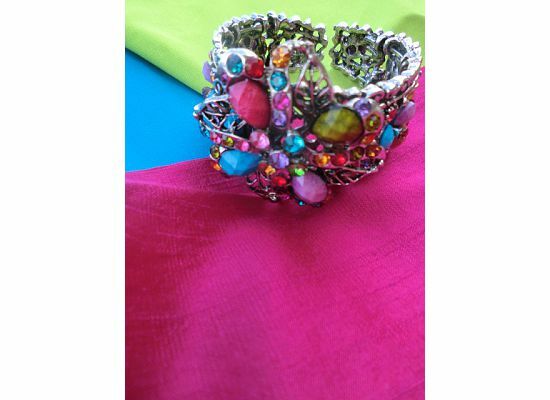 I really love the vibrant colors in this bracelet and the craftsmanship is unbelievable. This bag makes me think of orange sherbet! Have a fabulous week lovely ones! This is something really cute I can wear on the weekends......I love the look! Now I notice you always wear heels, and I'm a heel wearing type of girl. But....with a 2 year old, wearing a very low heel or flats is more comfortable.....thoughts? Also, congrats on being featured! You go gurl!!! Cute look! That is awesome for spring! =) I like your shoes. hello lovely, just came across your link on ifb and like the look of your blog! Have had so many 'follow me and i'll follow back' but I really actually *want* to follow you! 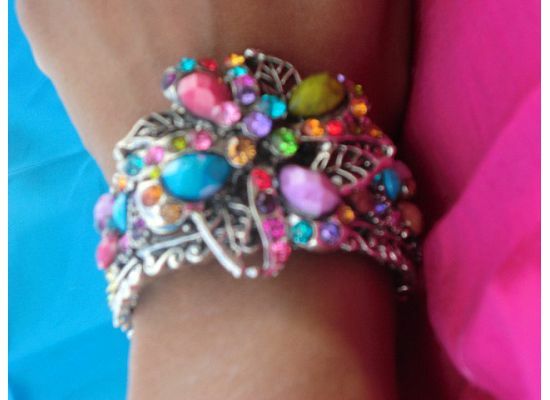 The bracelet in this post is gorgeous. I identify with your creativity, I am an aspiring writer and poet, and the blog is just a creative outlet in the meantime! 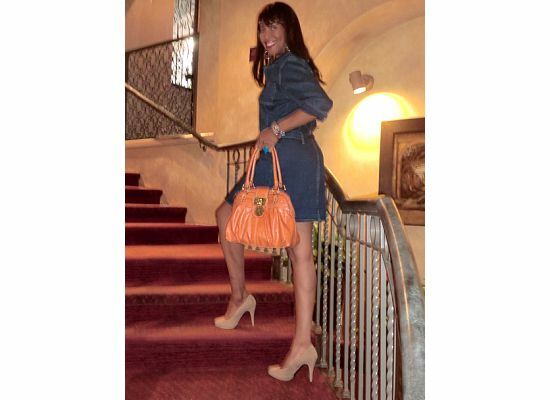 Very cute denim dress...I like the belt with it also. So you're a culinary expert?! I'm so about to try & cook everything you post on your site! And...thanks for stopping by on my site. Thats a great question and my suggestion is to try a cute gladiator sandal or wedge heel. You can have style withut sacrificing your comfort while you are out painting the town red with your two year old. Also, look for shoes with hidden platforms, many of them are unbelievably comfortable. Love the demin loov and the heels!! I really like your blog.. and Is now following!! thanks for the comment! I love anything orange especially an orange bag. Especially that! Now this is just divine - the whole look if so smart and classy - you're totally rocking it and the handbag, sorry purse, it gorgeous - love the colour.